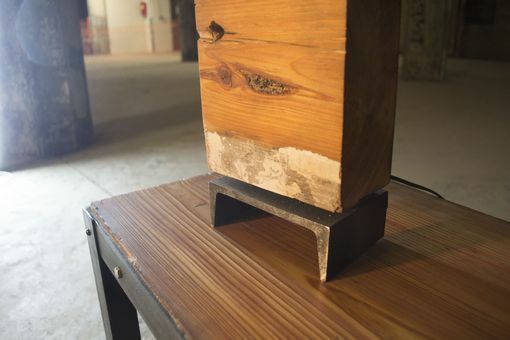 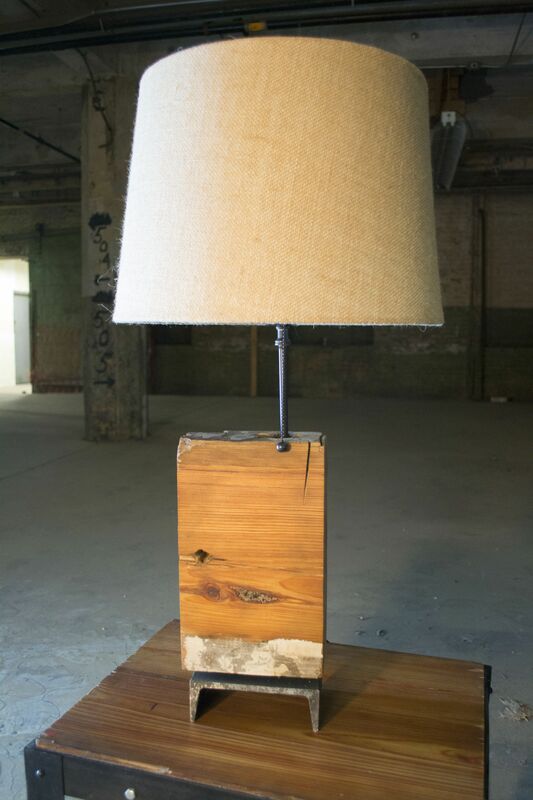 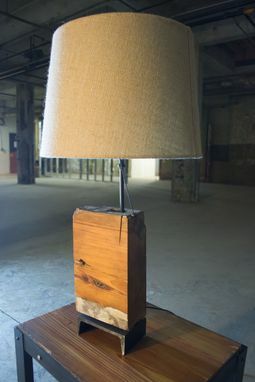 An Industrial Table Lamp made from the Ends of reclaimed Long leaf Southern Joists and a cross section of Steel Channel. 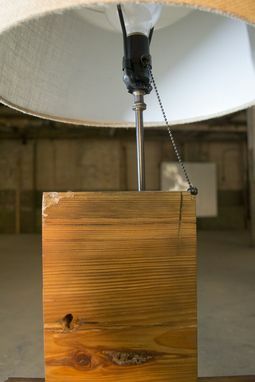 Includes a basic E-26 tug-activated ball chain and burlap shade! This heft lamp stands 31.5 : tall and is about 6.5 =" wide in the base with a depth of about 3.25 ".